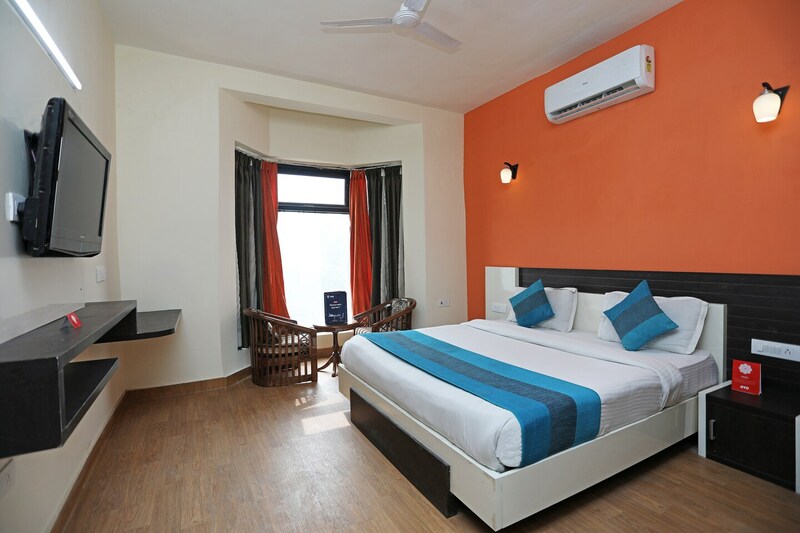 Golf Stays is a nice budget-friendly hotel with bright and cozy rooms, located in Sector 42 of Plot 654 in Gurgaon. The property is a two minute walk from Golf Course Road. Golf Stays comes with a conference room where guests can arrange meetings and a banquet hall where guests can arrange parties. There is also a big dining space where guest can dine. The rooms of this residency are magnificently decorated will good combination of light toned walls, stylish lights, and trendy furniture. The wooden flooring makes the interior more soothing and comfortable. All the rooms of Golf Stays feature a television, and an air conditioner while all the bathrooms feature a geyser. Guests are also provided free Wi-Fi, power backup, laundry service, parking facility, and CCTV coverage. Some restaurants in the vicinity of Golf Stays are Sidewok Restaurant, Caffe Tonino, Delhi Club House, and Halki Aanch.